The United States’ transport secretary has urged railroads to “greatly accelerate their efforts” to meet the forthcoming deadline for implementing positive train control (PTC). 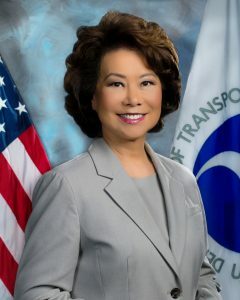 In a letter to the nation’s biggest railroads, intercity passenger railroads and state and local transit authorities, Elaine Chao stressed the urgency and importance of safely implementing PTC to meet the December 31 2018 deadline, as mandated by Congress. US Secretary of Transportation Elaine Chao. Photo: US Department for Transport. She said that the coming year is filled with many rail safety-oriented initiatives but that the implementation of PTC is the most important. PTC is an advanced system that uses global positioning systems (GPS) to automatically stop a train before certain accidents occur, such as: train-to-train collisions, derailments caused by excessive speed and unauthorised train entry into work zones. Under the Rail Safety Improvement Act of 2008, Congress requires Class I railroads and those providing regularly scheduled intercity or commuter rail passenger services to implement PTC on certain main lines by the end of 2018. Congress was prompted to make the change after a number of collisions, including a collision between a Metrolink passenger train and a Union Pacific freight train in 2008. The initial deadline for December 31, 2015, was extended because most railways would not have been able to meet the time limit. 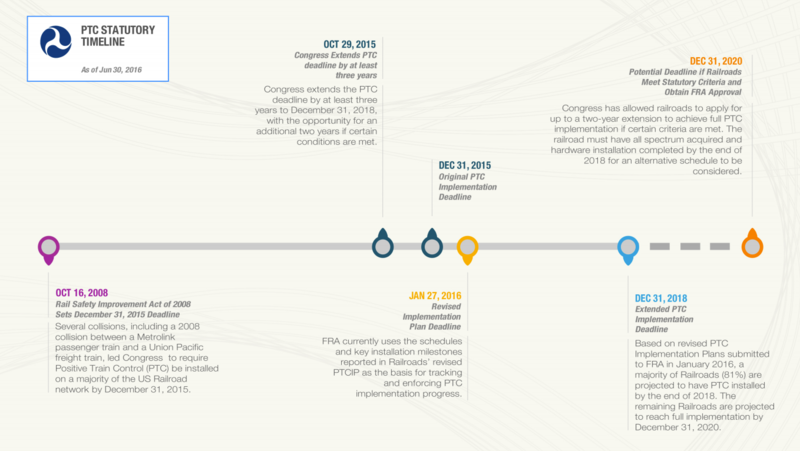 If a railroad meets the required statutory criteria, it can request for a limited extension to complete certain non-hardware, operational aspects of PTC implementation by no later than December 31, 2020. Data submitted by railroads to the Federal Railroad Administration (FRA) shows that PTC systems are in operation on 45 per cent of the required route miles of track owned by freight railroads and 24 per cent of the route miles of track owned by passenger railroads, as of December 18, 2017. 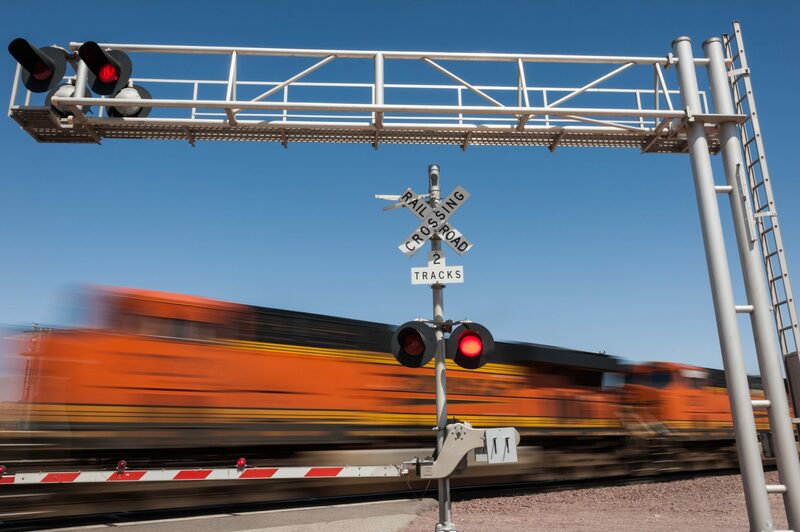 The US Department of Transportation (DOT) took action in 2017 to ensure that railroads implement PTC systems. This included assessing civil penalties against certain railroads that failed to complete hardware installation milestones. Since Congress first mandated PTC systems, DOT and FRA have also provided hundreds of millions of dollars in grants and loans to support its implementation. A chart from June, 2016, showing the statutory deadline for implementing positive train control. Photo: FRA. Safety is our top priority at the U.S. Department of Transportation, as we believe it is in your organisation. This letter is a reminder to emphasise that one year from now your railroad is required to achieve certain Congressionally mandated milestones related to the implementation of Positive Train Control. It is expected that your organisation is taking all possible measures to ensure that it will meet the requirements specified by Congress on or before December 31, 2018. The Federal Railroad Administration (FRA) will continue to work with you as we approach this critical date. This coming year is filled with an agenda of rail safety-oriented initiatives, and among the most important is advancing the implementation of Positive Train Control. This particular initiative must be executed within the regulatory timelines as extended by Congress. Upon review of the latest data provided by the industry, we are concerned that many of the Nation’s railroads must greatly accelerate their efforts to achieve the Congressionally mandated requirements. In that regard, the FRA leadership has been directed to work with your organisation’s leadership to help create an increased level of urgency to underscore the imperative of meeting existing timeline expectations for rolling out this critical rail-safety technology. We look forward to your continued commitment to safety in the rail industry and to your organisation’s efforts to deliver on the promise of Positive Train Control as required by Congress.